Slashing drink-driving alcohol limits had little to no impact on traffic accidents, with intoxicated motorists still getting behind the wheel, according to insurers. Alcohol limits for motorists were slashed to almost half in January last year but the impact was so “minimal” that insurance companies reporting no improvements in accidents involving drivers who had consumed extra drink. Speaking to the Times of Malta ahead of a conference on drink-driving next month, Malta Insurers Association head Adrian Galea reiterated concerns that the changes to laws were not effective, insisting that the number of people caught drunk behind the wheel was not realistic. “When one considers that, over the past five years, 946 people were arraigned over drink-driving charges and of these only 548 were found guilty, it is clear not enough is being done,” Mr Galea said. While the insurers were “happy” with the government’s decision to slash the limits, something which they had argued in favour of for years, the changes were “not of much use” if the rules were not being properly enforced. “Do we honestly believe that only two people every week are driving under the influence? This is why our association believes that some changes in the law are required to allow enforcement to be effective,” Mr Galea said. “Even this on its own won’t solve the problem. 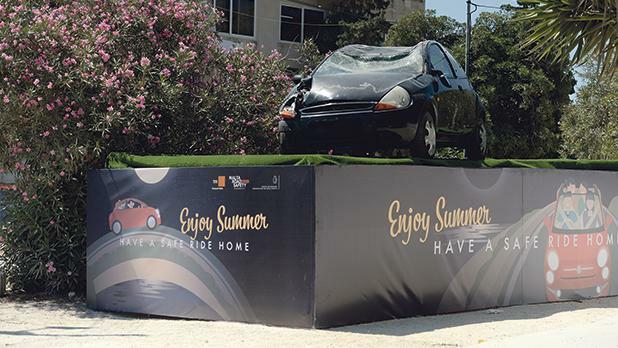 There has to be a motivation for people to be self-disciplined, therefore, more awareness among motorists of the huge risks related to driving under the influence of both alcohol and drugs is also necessary,” Mr Galea added. In recent months, insurers have repeatedly expressed scepticism on the low number of people caught breaking the drink-driving rules. They stepped up calls for action after this newspaper reported earlier this year that only three people were caught driving under the influence of alcohol on New Year’s Eve and none on Christmas Eve. According to the revised rules, motorists are considered to be under the influence of alcohol if they are found to have 22 microgrammes of alcohol in 100 millilitres of breath. This means that a man of average build is limited to just under a pint of beer or a large glass of wine while women can consume no more than half a pint of beer or a small glass of wine. At the forthcoming conference insurers plan to unveil a series of proposals for legislative changes. Transport Minister Ian Borg and Family Minister Michael Falzon are expected to address the conference and experts will raise legal issues. The event is also expected to be addressed by a person who experienced the death of a relative as a result of a motor accident.